← 11/15 Statewide Summit update! The groans were audible for miles around. Kinder Morgan had just filed its Northeast Energy Direct (NED) resource report with potential alternate routes listed, and the news was spreading like wildfire. Never mind that none of these routes are approved – the mere mention of that possibility has sent citizens in both MA and NH into frenzy. Suddenly MA towns such as Cummington, Chelmsford and Westford are in the line of fire, as are businesses along Rte. 119. 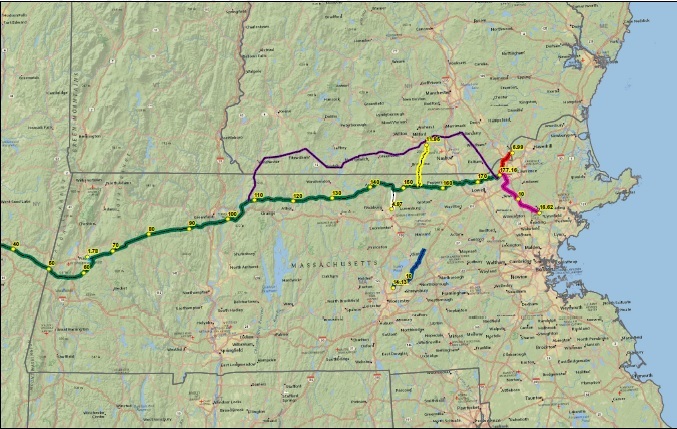 NH hit the double jackpot with a brand new spur option through Brookline plus a possible major pipeline stretching from Winchester to Pelham. Unfortunate for Western Mass., they draw the short straw no matter what route is selected. 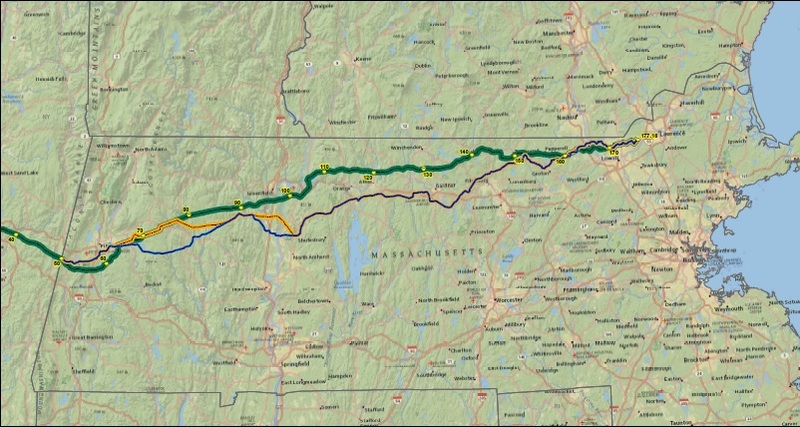 With thousands more residents across MA and NH now affected by one of the potential new routes Kinder Morgan is no doubt sitting back waiting for the NIMBY apocalypse to unfold. They are counting on us to battle each other for the ultimate prize – to keep the pipeline out of our respective towns and off our conservation lands. Meanwhile, Kinder Morgan can bide their time, banking on one greenfield route or another emerging as FERC’s choice. Fortunately most informed people are wise to these tactics, and know there is only one winner in this game of charades: Kinder Morgan. Anything short of defeating the pipeline means we all will pay the price of accelerated climate change, a spoiled environment and, if any gas is exported, the probability of higher – not lower – prices. Divide and conquer is the oldest strategy in the book. Don’t fall for it. Strength in numbers is our strongest weapon. It’s helped us postpone the pipeline tariff and secure the Administration’s commitment to study our energy needs. And now the Open Houses have been postponed further delaying the process. Let’s work together to add one more “win” to the list – putting an end to this pipeline forever.